The birds of Rio 2 almost knocked Captain America: The Winter Soldier off of his box-office perch over the weekend. Ultimately, the Marvel standalone adventure held on to the top slot, but the animated comedy still banked a healthy $39 million. That is exactly what the first Rio earned in 2011, and that film went on to bank $484 million worldwide. So far, Rio 2 has global grosses of $163 million. That’s an incredible start. Does this mean that Rio 3 is inevitable? Probably. Director Carlos Saldanha has dabbled in sequels over the years, having helmed three Ice Age movies and a second Rio film. 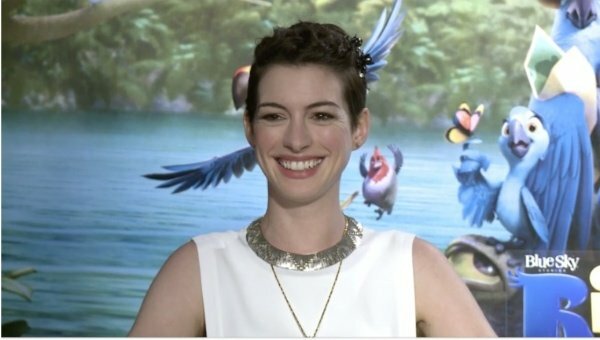 During the recent world premiere in Miami, Florida, I sat down with the cast of Rio 2 to ask them where they’d want Rio 3 to go. The beautiful thing about animation is that there are no boundaries. The sky is the limit as to where (and even when) a potential sequel could go. It’s a little early, granted. 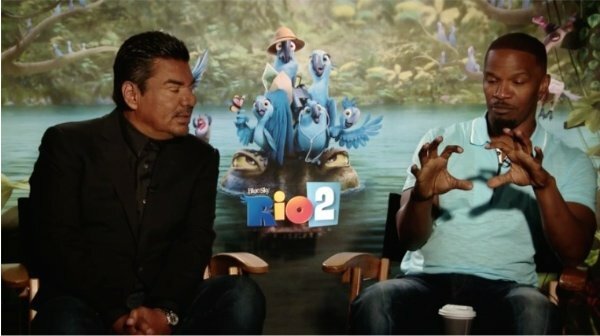 I want to see how Rio is accepted by the audience, and how people take this sequel. Of course, I have a lot of stories to tell, so we’re [starting to] prepare for it. Because we love these characters so much, and there are a lot of things in my head that maybe I couldn’t put in the movie. I wanted to take them to a different place. So I don’t know yet. We’ll see what happens." Jamie Foxx might have been inspired by the location of the press stop. When I asked him where he wanted the birds of Rio to go in a possible Rio 3, he told me, "They have to come to Miami." Andy Garcia, who voices the paternal bird Eduardo in the sequel, also said that he’d like to see the Blue Macaws of Saldanha’s series "take a field trip" in Rio 3. I never really let myself go there, because there are writers and a director and a whole film studio. I’m just happy to show up for the ride! I mean, I trust these guys. They know these characters inside and out, and they tell great stories. I just hope that I’m there!" "I would love to have Tulio singing. Because we actually came up with what we call ‘Bird-ish.’ It’s his language, when he believes he’s communicating with the birds. So it would be very nice to see him come up with a [musical] number where he sings in ‘bird-ish.’"
Will it happen? Only if Rio 3 makes it to theaters somewhere down the line.